← DANCE OFF THE INCHES: TUMMY TONE PARTY ZONE! First Impression: Hey, it’s that show I’m aware of, but never watch! Second Impression: Exercise routines adapted from the hit show! I hope there’s scripted yelling and manufactured tension! 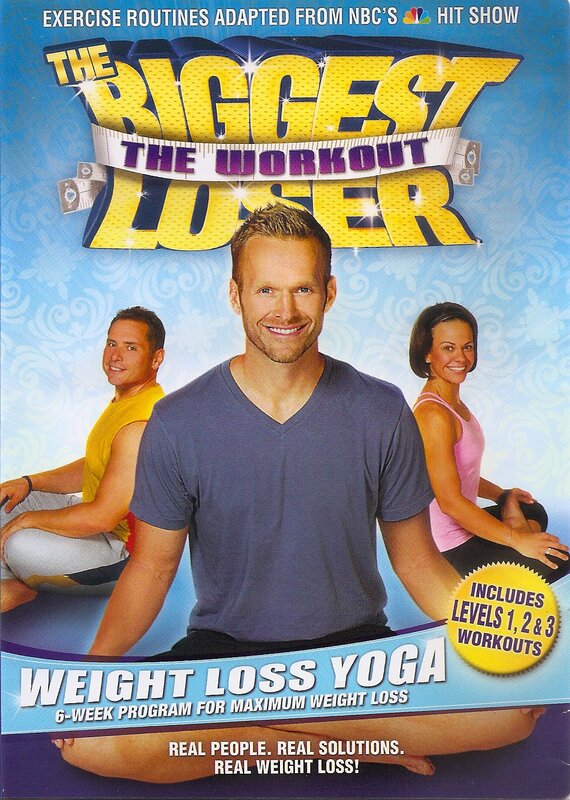 This DVD boasts that the workout is customizable. I want to point out that all home fitness routines are customizable. You click past the parts you don’t want to do, and you stop when you feel like stopping. No one is watching. There’s no one to punish you. How you customize this workout is, on the DVD menu you have to select or deselect each section of the routine before any of them will play. It’s a bit of a hassle with my tiny, inaccurate remote. There should just be a Play All button. I don’t know what I clicked, but the same section wanted to play twice in a row. Bob is a competent, charismatic trainer, and seems to have a good rapport with his backup yogis, who were all Biggest Loser contestants. And even though Bob’s many arm tattoos are fully visible when you watch the video, some executive somewhere made the call to Photoshop them out for the cover picture. I wonder if they found the tattoos just too distracting visually, or is there a squeaky-clean image of the brand that needs to be upheld? As for what makes this specifically Weight Loss Yoga, I couldn’t tell you, per se. The poses and sequences are pretty much what you’d expect in most other yoga classes. The Level Three segment does incorporate the use of hand weights as you flow through the poses. I suppose this would help to throw off your balance and increase the risk of injury… I mean, burn more calories and build muscle. I revisit this routine now and then. I always notice the background music. It’s definitely scored like a reality television show, with intrusive, shifting synthesizer chords. Most yoga classes play lilting flute music or rhythmic bird chirps to make you feel peaceful and grounded. Not so with this routine’s soundtrack. As I breathe deeply into Triangle Pose, I am certain that something exciting will definitely happen, right after these messages. This entry was posted in Reviews and tagged 60 minutes, Celebrity Host, corporate, hand weights, yoga. Bookmark the permalink.